The Centre today referred to the verdict and said the reasonable restrictions, which are applicable on right to life, would also govern the right to privacy. New Delhi: The Centre today justified the Aadhaar Act in the Supreme Court, saying it was a "fair and reasonable law" which complied with the tests prescribed by the historic verdict on the right to privacy. A nine-judge constitution bench, on August 24 last year, had declared the right to privacy as a fundamental right and termed it as an intrinsic part of right to life and personal liberty under Article 21 of the Constitution. It told a five-judge constitution bench headed by Chief Justice Dipak Misra, which is examining the validity of Aadhaar scheme and its enabling 2016 law, that the privacy verdict provided that State can seek certain information if there is a law, a legitimate state interest and the proportionality doctrine to weigh citizens' privacy and the State's interests. "The lead (privacy) judgment of Justice DY Chandrachud says that existence of law, legitimate state interest, and proportionality, are the tests to be applied to judge the privacy violation, if any," Attorney General KK Venugopal told the bench which also comprised Justices AK Sikri, AM Khanwilkar, DY Chandrachud and Ashok Bhushan. "The Aadhaar Act meets the standards and has adequate safeguards. The Aadhaar Act is a just, fair, and reasonable law. It is in pursuance of a larger public interest, including preventing dissipation of social welfare benefits, prevention of black money and money laundering...," he said, adding that these were all "legitimate State interests". The Aadhaar scheme also satisfies the test of proportionality by showing a rational nexus between the means and the goal, he said, adding that all subsidies were part of right to life with dignity and would prevail over the right to privacy. KK Venugopal said a law, which is constitutionally valid, does not become "invalid" on the ground of improper implementation and, moreover, the Aadhaar Act has kept the invasion to privacy, if any, to the minimum level. Referring to separate concurring privacy verdicts penned by other judges, the Attorney General said they recognised that right to privacy was not "absolute" and legitimate state interests can override it. At the outset, he read out the answers given by Ajay Bhushan Pandey, CEO of Unique Identification Authority of India (UIDAI), to the queries of the lawyers representing those opposed to Aadhaar. Mr Pandey had made a presentation before the top court to allay apprehensions over the Aadhaar scheme. Mr Venugopal said UIDAI cannot provide authentication failure rates at the state level since it does not track the location of the authentication transactions. Referring to the data, he said the biometric failure rates stood at 6 per cent for fingerprints and 8.54 per cent for iris at the national level. "It must be stated that authentication failures do not mean exclusion from or denial of subsidies, benefits or services since the Requesting Entities are obliged under the law to provide for exception handling mechanisms," he said. In response to a question as to how a leprosy patient or a person who does not have a mobile number, is being enrolled for Aadhaar, the top law officer said, "Aadhaar enrolment is done for all residents, even of residents with Leprosy. Biometric exception process is defined in the UIDAI resident enrolment process. "In the case of a leprosy patient who may not be able to do fingerprint authentication, iris authentication can be used for update (and add the mobile number). This was the reason for multi-modal enrolment and authentication being selected for use in Aadhaar." 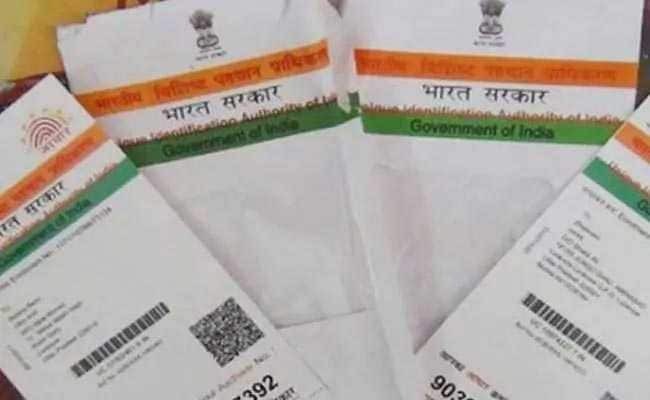 As part of the exception handling mechanism, UIDAI has already implemented a digitally signed QR code into eAadhaar which allows agencies to verify the Aadhaar card in an offline manner and trust the data, he said. On the issue of Aadhaar for minors, he said school officials, if permitted to act as 'introducer' can enrol only when there is a parental consent to enrol. Responding to a query whether a child can opt out of Aadhaar after attaining majority, he said "it is not permissible under Aadhaar Act, 2016. However, residents have the option of permanently locking their biometrics and only temporarily unlock it when needed for biometric authentication as per Regulation 11 of the Aadhaar (Authentication) Regulations, 2016." Earlier, the apex court had refused to pass an interim order extending the deadline of March 31 for linking of Aadhaar with the welfare schemes where benefits are transferred to citizens from the Consolidated Fund of India.